holding a Formula 1 race in London. 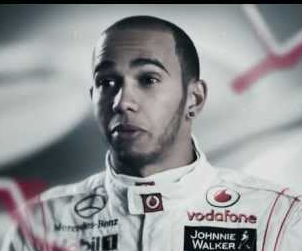 Santander bank which is a current sponsor of the British Gran Prix that will be held next week at the United Kingdom is the main entity behind this proposal. The idea of holding a Gran Prix in this legendary city has already raised some expectations around the f1 circus and fans, although many f1 journalists are skeptical about the rumors. Meanwhile there is already a video animation of the circuit. As you can see all the banners around the circuit are from Santander Bank. Here is a short video found on youtube from the user F1 MrFerrari Summing up all the events that unfolded from this amazing race. Today we watched one of the most thrilling gp of the season. In the past the Valencia street circuit didn’t delivered the type of emotions one will expect for a circuit with this characteristics, but today it was a different story. The protagonist of this race was definitely Fernando Alonso delivering an outstanding performance in front of his hometown fans. Fernando overtook car in every part of the race putting himself in second spot behind Sebastian Vettel and taking advantage of another disastrous work from the guys from Mclaren in the pits, that ruined Hamilton’s race. After that, luck went to Alonso’s side when Vettel car stopped. Fernando Alonso showed a lot of emotions after finishing the race which is very strange in him, he told reporters that winning this race is one of the most emotionals of his career. Given the tight economical situation that Spain is living delivering this result was the best for the crowd, many of them did a big effort to be there supporting him and after the dissapointment of yesterday’s qualifying this is more that what they expected for today’s race. Here is an interesting video that visually demonstrate which one is better between an Indy car and a Formula 1 car. Is a lap in Laguna Seca and although the formula 1 car ended up with a difference of about 4 secs if you multiply that by the number of laps in a race it would be a big difference. There is always an intrigue in every sports to know who is the best athlete who had ever play the sport. For that you have to analyze old players numbers from the past and also from the ones currently active, and on top of that, apply some margins to one an another in order to make a fair conclusion due to the advantage or disadvantage one era could have over the other in terms of rules, technology etc etc. In this video I want to show you how obvious it is in formula 1, technology and rules changes (to make the sport more attractive and safer) have helped to make this big difference in the drivers/cars performance year after year. 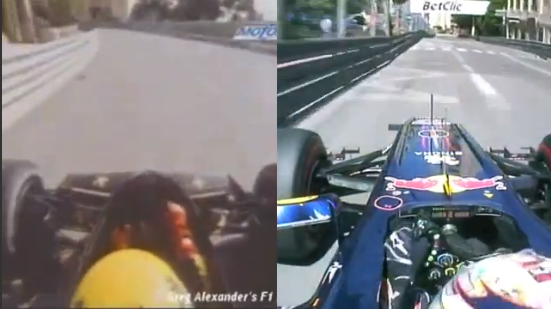 In this case we go all the way back to 1986 to a lap in Monaco street circuit and compared it with one from 2011. The difference between performance is abysmal and although the 2011 driver/car was 22 second faster it looked much safer as well. channel lately and this is very good for his fans since it allow them to know better their driver outside the cockpit. He uses Instagram for the pictures and twitter for short messages. In both channels he uses the username of alo_oficial, so in twitter you will find him as @alo_oficial.